At Eastfield Primary School we offer all children an excellent education to ensure all pupils are well-equipped for the next stages in their education. We are proud to be a welcoming, successful and inclusive school. We recognise everyone as a unique individual with their own ambitions, skills and dreams. Our school aims to provide an environment that encourages life-long learning. Restorative Practice is at the heart of our commitment to ensure all our pupils are highly successful and self-regulating members of modern British society. Respect, leadership, motivation, resilience, self-control, self-confidence and effective communications skills, as well as academic success based on individual starting points, physical and mental health and the spiritual, moral, social and cultural development are all qualities, we believe, help to build a successful individual. Our pupils are provided with a firm grounding in core skills including, reading, writing, spelling, grammar and mathematics. Our curriculum includes not only the formal requirements of the National Curriculum, but also a range of extra-curricular activities that the school provides in order to enrich the wider experiences of the children. The creative curriculum has been organised through a ‘topic based’ approach, which incorporates the key knowledge, skills and understanding set out in the National Curriculum. The use of technology is encouraged in all topic areas as a subject in its own right and in both the teaching of the topic and in the opportunities for children’s independent learning. Each topic area includes key texts, linked to the topic; this provides a context through which Literacy can also be taught. Furthermore, extra emphasis can be made through the themed curriculum on basic skills. Mathematics – Mathematics skills are key to developing everyday skills; links can be made throughout the theme, however key skills are taught in dedicated sessions. 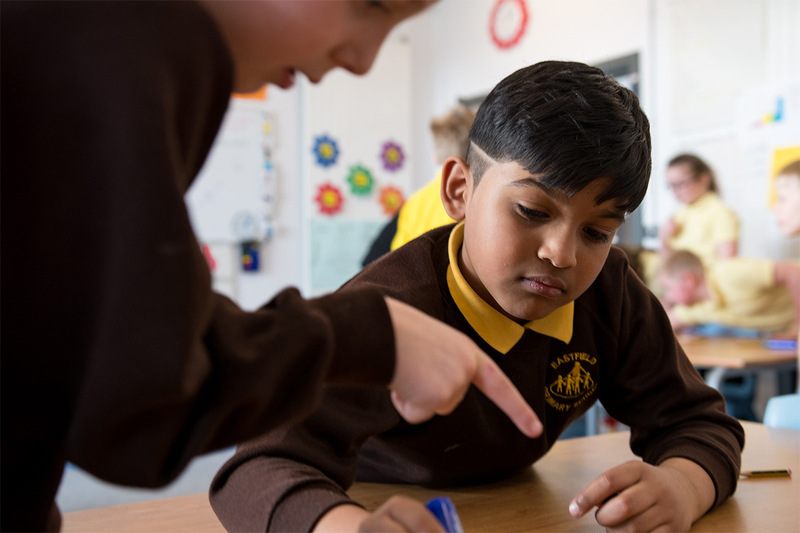 Mathematical teaching follows the mastery curriculum approach where pupils develop their application of arithmetic skills through variation, problem-solving and reasoning. English –Spelling, Grammar and Punctuation, Phonics, some Guided Reading sessions and handwriting are taught as discrete sessions, within the writing journey, as they build up basic skills. Reading -The Letters and Sounds program is used to teach Phonics in EYFS and Key Stage 1. The children begin at Phase 1 and proceed through the phases; at the same time, the teaching is also supported by the Jolly Phonics Program. A selection of phonic based reading schemes are used – Oxford Uni Press, Pearson and Rigby Star are the main reading schemes used but a range of other literature and reading books are always used. Bug Club is used throughout the school to support the teaching of reading and comprehension skills. RE – Is taught in accordance with the Approved East Riding Syllabus, links with topics are made where appropriate.